We never cease to be amazed at all the amazing DIY projects that Mac fans do with old Apple hardware. 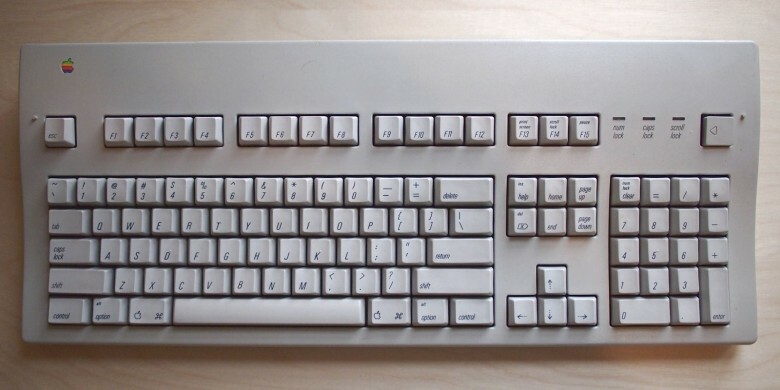 Case in point: see this vintage Apple Extended Keyboard? It’s not hooked to a computer. It is a computer, thanks to the embedded Rapsberry Pi inside. You’ve probably heard of the Raspbery Pi. A hobbyist item that can be purchased for as little as $20, the Raspberry Pi is a dirt cheap micro-computer aimed at modders that is little more than a circuit board with a CPU, some RAM, and a few ports. But unprepossessing as it is, people do awesome things with the Raspberry Pi. This Apple Extended Keyboard is no exception. Created by modder Ezra Hilyer, this Apple Extended Keyboard has a Raspberry Pi B+ inside. It runs Linux, but all he needs to do is take this Apple Extended Keyboard with him and Hilyer has a computer, no matter where he goes. Got an old Apple Extended Keyboard around you want to try this with? Check out Hilyer’s step-by-step guide at the link below.